Each day over the next week we will discuss the albums that have been on repeat on our stereo over the past 12 months (in no particular order). Eric Alexander is a veteran saxophonist from Chicago, whose style reminds me of a young Dexter Gordon. He has built a successful career on powerful, full bodied textures but has the ability to pull back beautifully as heard on his most recent release, Revival Of The Fittest (High Note). Eric Alexander has always been a bold and fabulous leader, (over 20 albums to his credit) and he has developed intyo a solid hard bop performer over the 15 years. He is also a founding member of the critically acclaimed sextet, One For All. He doesn't stray too far from the path which makes him one the perfect choices for anyone interested in starting their jazz collection off with something comfortable and familiar. 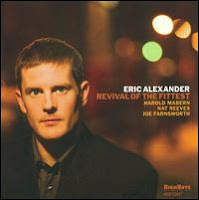 Revival Of The Fittest features some great work by Alexander regulars, Nat Reeves (bass), Harold Mabern (piano) and Joe Farnsworth (drums) who place themselves squarely in time with Alexander's every move. The main driving force is the veteran pianist Mabern, with whom Eric has worked since almost the begin of his career in the early 90s. Two of the tracks were written by Mabern ("Blues For Phineas" and "Too Late Fall Back Baby") which not only showcases Mabern but exemplifies the dexterity of Alexander as a performer. Eric Alexander's maturity over the last decade really comes to the fore on Revival Of The Fittest, making this one of the best albums from him in a while. 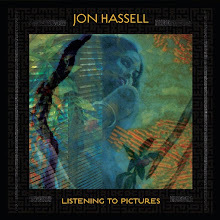 It's worth the purchase if you are an ardent fan, but also definitely if you are a newcomer to jazz and want to check out a great artist in prime form.